BIESCA GIJÓN H.C. DESCANSA DESCANSA C.P. EL PILAR DESCANSA C.P. MIERES "A"
CENTRO ASTURIANO DESCANSA DESCANSA F.M. OVIEDO F.M. OVIEDO 1 14 C.P. MIERES "A"
OVIEDO BOOLING 2 0 C.P. MIERES "B" C.P. MIERES "B" DESCANSA DESCANSA BIESCA GIJÓN H.C.
DESCANSA C.P. ARECES C.P. ARECES DESCANSA DESCANSA C.P. MIERES "B"
C.P. EL PILAR 3 2 C.P. ARECES C.P. ARECES 3 2 C.P. MIERES "B" C.P. EL PILAR 8 3 C.P. MIERES "B"
C.P. EL PILAR 1 1 OVIEDO BOOLING OVIEDO BOOLING DESCANSA DESCANSA BIESCA GIJÓN H.C.
DESCANSA F.M. OVIEDO F.M. OVIEDO DESCANSA C.P. MIERES "A" 10 1 C.P. MIERES "B"
C.P. EL PILAR DESCANSA C.P. MIERES "A" DESCANSA C.P. EL PILAR 1 10 C.P. MIERES "A"
F.M. OVIEDO DESCANSA C.P. MIERES "A" 12 3 F.M. OVIEDO OVIEDO BOOLING 3 9 C.P. MIERES "A"
DESCANSA C.P. MIERES "B" BIESCA GIJÓN H.C. DESCANSA DESCANSA BIESCA GIJÓN H.C.
DESCANSA C.P. ARECES C.P. 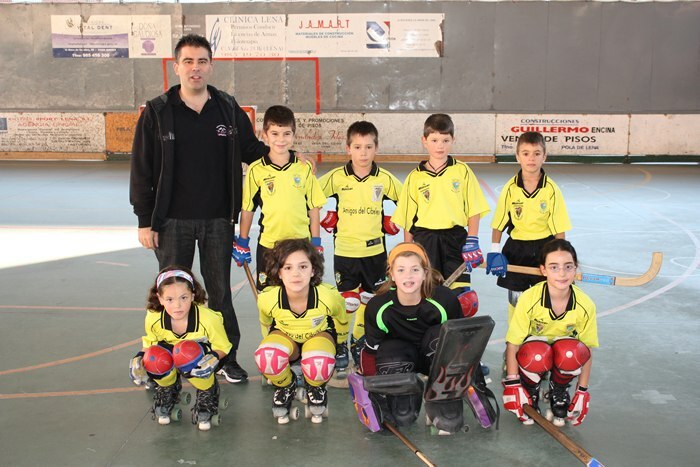 MIERES "B" DESCANSA C.P. LA CORREDORIA 12 1 C.P. MIERES "B"
C.P. MIERES "B" 6 1 C.P. ARECES C.P. MIERES "B" 2 6 C.P. EL PILAR BIESCA GIJÓN H.C. 4 3 C.P. MIERES "B"
DESCANSA F.M. OVIEDO C.P. ARECES 1 22 C.P. MIERES "A" C.P. EL PILAR 11 2 BIESCA GIJÓN H.C.